For more than 65 years, The Hour of Decision and Hour of Decision Online radio programs opened with the cheerful voice of Cliff Barrows. Listen as Billy Graham Radio pays tribute to Mr. Barrows, who passed away on Nov. 15, 2016. Mr. Barrows life and ministry are being celebrated at the Billy Graham Library through a special display “A Singing Faith” through January 31, 2017. 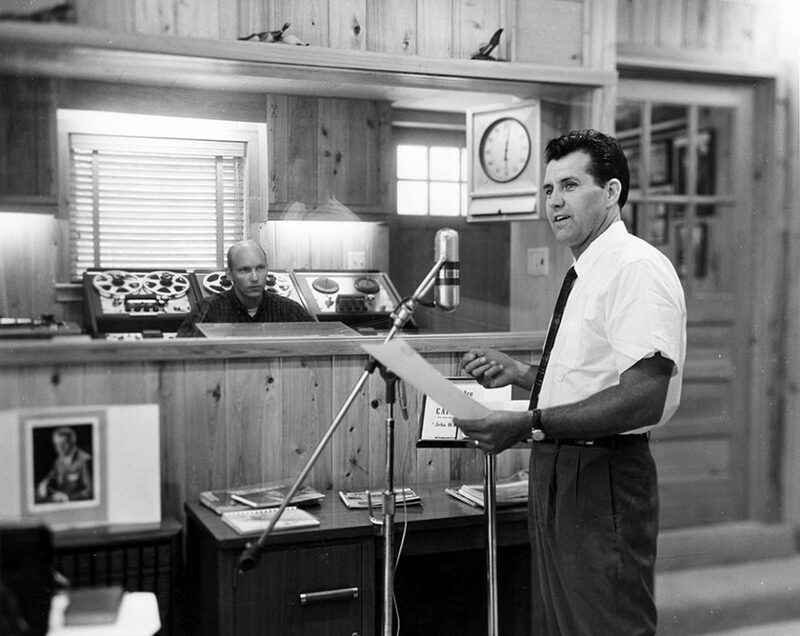 Cliff Barrows recording The Hour of Decision Radio Program, late 1950s. This post was first published in 2013 to celebrate Cliff Barrows’ 90th birthday. 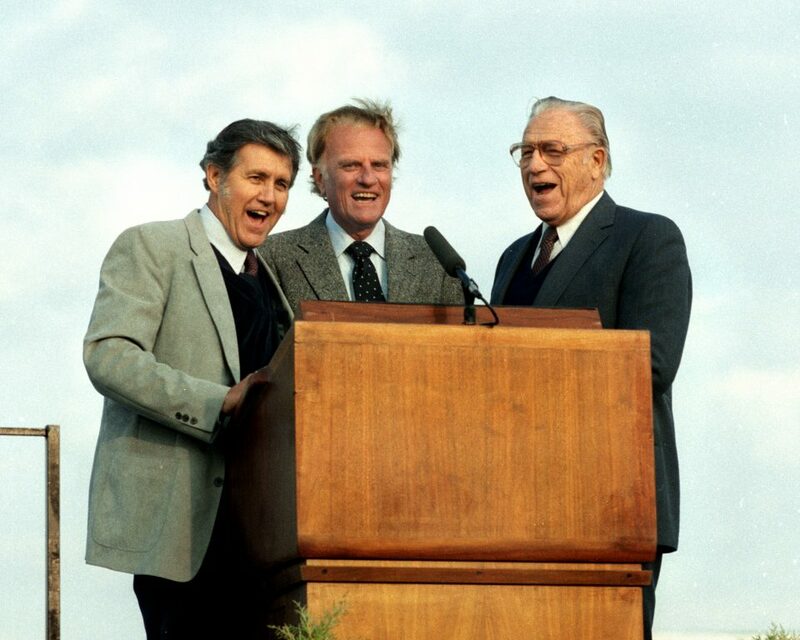 A candid capture from 1984 of Cliff Barrows (L), Billy Graham and George Beverly Shea (R) singing “This Little Light of Mine” as they sometimes did together. Watch a video of the trio singing. As a teenager in Greenville, SC, I greatly enjoyed the “Teen Squash” gatherings hosted by Cliff’s daughter Bonnie Barrows at their family’s home on Paris Mountain. In 1966/67, Bonnie was our Wade Hampton High School student body president. She was a wonderful leader and a source of inspiration to me. I especially loved watching the Billy Graham movies during those meetings. My father, Jim Armstrong, was a pastor whose first church was in Greenville. (He became a pastor as a result of his decision for Christ made during a crusade.) He passed away on Nov. 3, 2016. He was a joyful, spirit-filled man who also loved to sing. I like to picture him as part of that heavenly choir assembled to greet Cliff for his own homecoming later that month.